Collins Booksellers - Macroneural Theories in Cognitive Neuroscience by William R. Uttal, 9781317392729. Buy this book online. 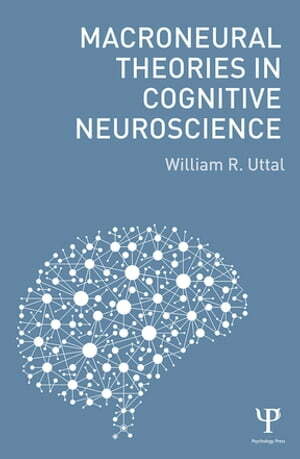 In this book, William R. Uttal continues his analysis and critique of theories of mind. This book considers theories that are based on macroneural responses (such as those obtained from fMRI) that represent the averaged or cumulative responses of many neurons. The analysis is carried out with special emphasis on the logical and conceptual difficulties in developing a theory but with special attention to some of the current attempts to go from these cumulative responses to explanations of the grand question of how the mind is generated by the brain. While acknowledging the importance of these macroneural techniques in the study of the anatomy and physiology of the brain, Uttal concludes that this macroneural approach is not likely to produce a valid neural theory of cognition because the critical information—the states of the individual neurons—involved in brain activity becoming mental activity is actually lost in the process of summation. Controversial topics are considered in detail including discussions of empirical, logical, and technological barriers to theory building in cognitive neuroscience.